Goodreads says, "After the death of her free-spirited mother, sixteen-year-old Alex Lee must leave her home in northern California to live with her wealthy grandmother in Savannah, Georgia. By birth, Alex is a rightful, if unwilling, member of the Magnolia League, Savannah's long-standing debutante society. She quickly discovers that the Magnolias have made a pact with a legendary hoodoo family, the Buzzards. The Magnolias enjoy youth, beauty and power. But at what price? 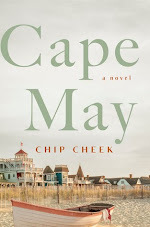 As in her popular adult novels, Crouch's poignant and humorous voice shines in this seductively atmospheric story about girls growing up in a magical Southern city." Alex is an unusual young adult. 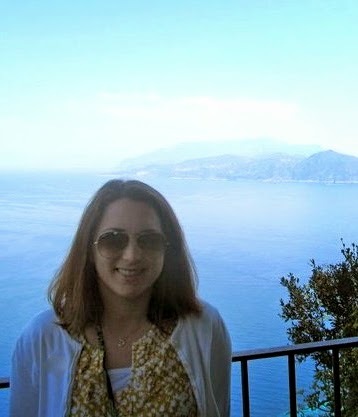 She grew up with her hippie mom on a commune in California where they worked with various roots and herbs. The commune is the only world she knows until her mom dies in a tragic accident and since she is a minor, she is sent to live with her extremely wealthy grandmother in Savannah, Georgia. Her grandmother is the opposite of Alex. She is the leader of the Magnolia League, which is a debutante society and it's composed of Savannah's most powerful women. Alex discovers that Savannah isn't all debutantes and formal balls; in fact, the Magnolias are involved in hoodoo and a powerful hoodoo family, the Buzzards. They partake in many spells from everything like spells for losing weight, anti-aging, and even unlimited funds. Alex also finds some more upsetting secrets hiding in her grandmother's palatial Savannah home and this particular secret rocks Alex to the very core. 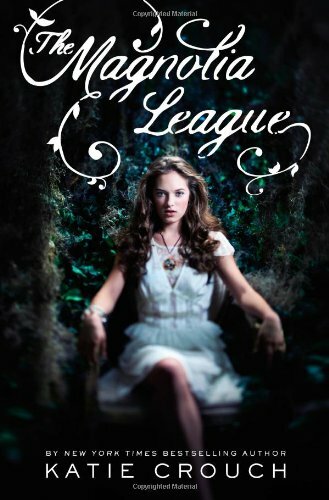 Katie Crouch's young adult debut, The Magnolia League, is a promising start to a new series that will transport readers to sultry Savannah, where secrets lurk on every corner. Simply said, Crouch writes this story very well. Savannah is one of my favorite cities and she truly brings it to life along with the debutante way of life. I loved how she depicted the city, the heat, the traditions, and the eerie hoodoo. It made me want to have wine on my porch and discuss the news with a Magnolia League of my own. In essence, Savannah became an important character in itself. Alex is a fun protagonist. Reading about her transformation from a pot smoking hippie to a Magnolia Leaguer was, at times, hilariously entertaining. She was an alien in their world, especially since she has never even attended a public school. I was a bit disappointed with how much she actually conformed to their standards, but I guess that was to be expected. On another note, I liked the girl power in The Magnolia League. The leaguers were very powerful and didn't let much stand in their way; however, I didn't always agree with their choices. In sum, I'll be picking up the second book in the series called White Glove War, which comes out in the spring of 2012. The Magnolia League ends with a crazy plot twist and cliffhanger, so I need to know what happens. Needless to say, I have a ton of questions! Ooh -- love when an author can really bring a city to life, and I've always wanted to see Savannah! Maybe I'll travel vicariously through this one. Adding it to my wishlist! I love Savannah but sadly I couldn't get into this book. I ended up passing my ARC on to a coworker who enjoyed it. Maybe I will give it another try later on. I am glad you liked it and I kind of wish I'd kept reading to see if it got better for me.